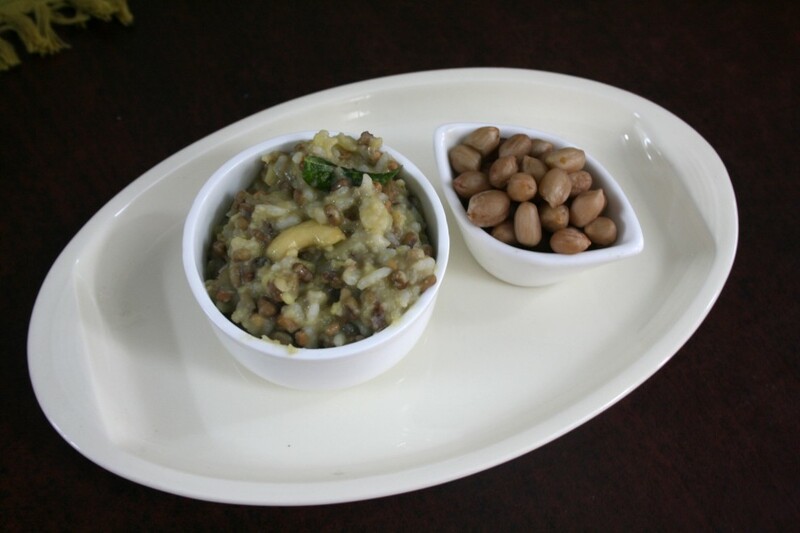 Today’s neivedhyam was with Moth dal, Moong dal Ven Pongal. I make Ven Pongal in three different ways. This adds to the collection and is very healthy dish to boot. I recently picked up moth dal and have not cooked before. Deciding what to do, I thought making it as Ven Pongal was the best thing. 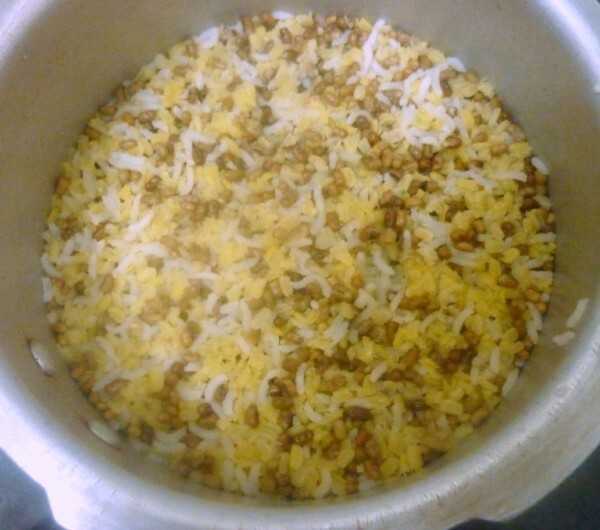 I added Moong dal to make it more like the regular Ven pongal taste. It would help if you soak the dal overnight. I simply roasted it and pressure cooked. That made it crunchy and not soft. Else otherwise the taste was simply superb. How to make the Ven pongal. 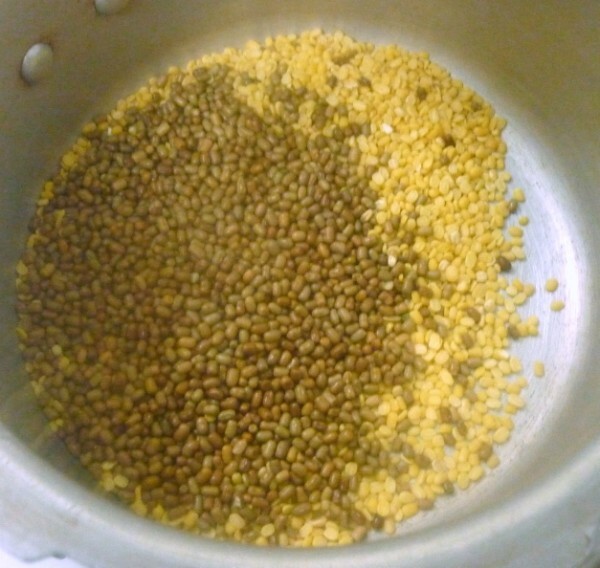 Soak the moth dal overnight. Drain and keep it aside. 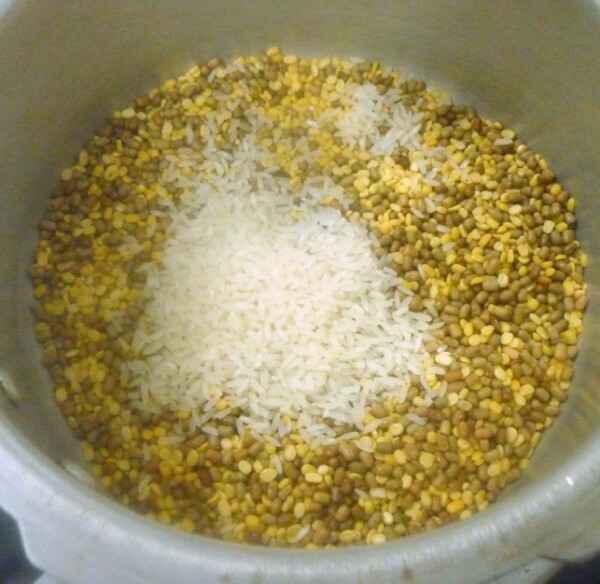 Dry roast the moong dal and take the moth dal, moong dal and rice. Pressure cook for 3 whistles. 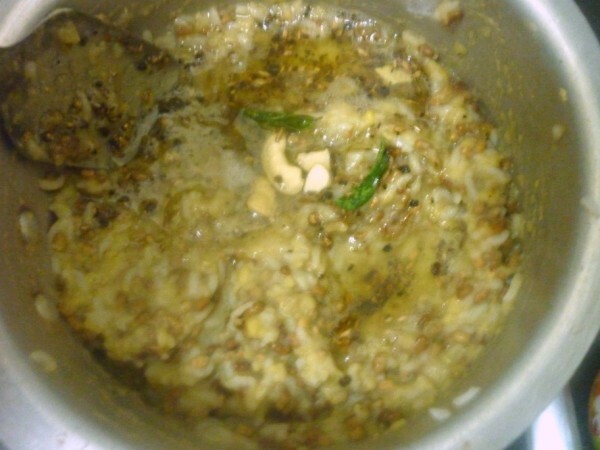 Once the pressure falls, heat a pan with oil and ghee, add whole peppercorn, cumin seeds, curry leaves and cashews. When the cashews are roasted, pout this on the cooked pongal. 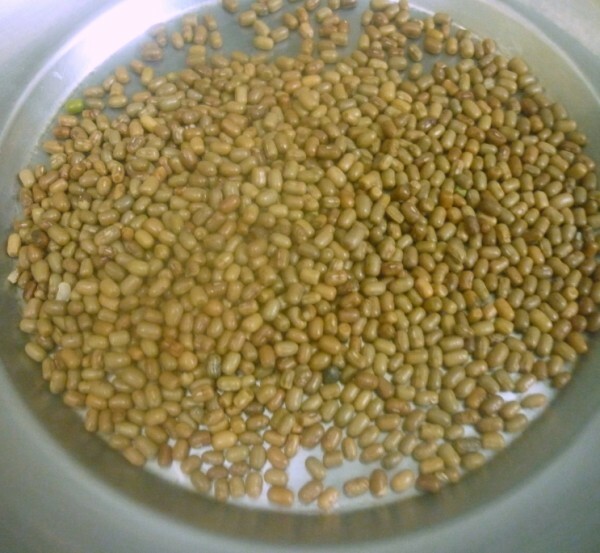 The Sundal offered was Boiled Ground nuts. New to me. Different to the regular pongal we eat. 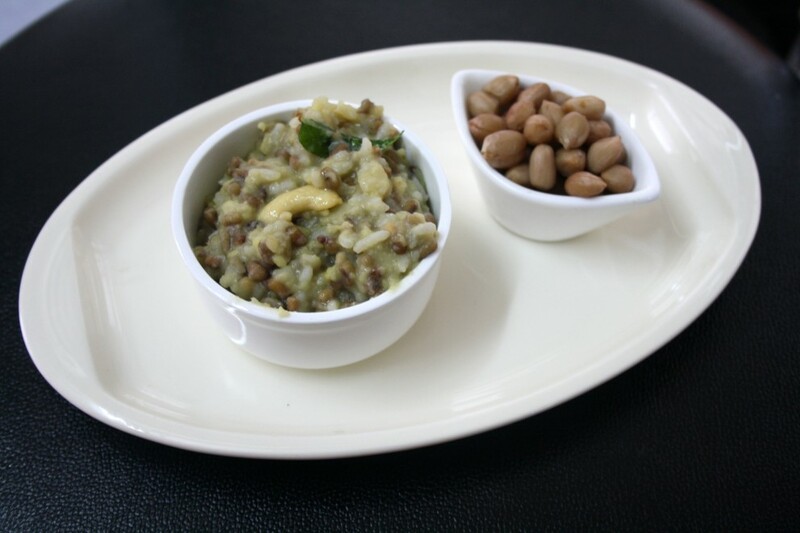 Nutritious and definitely a lovely pongal.Love here the addition of moth dal.